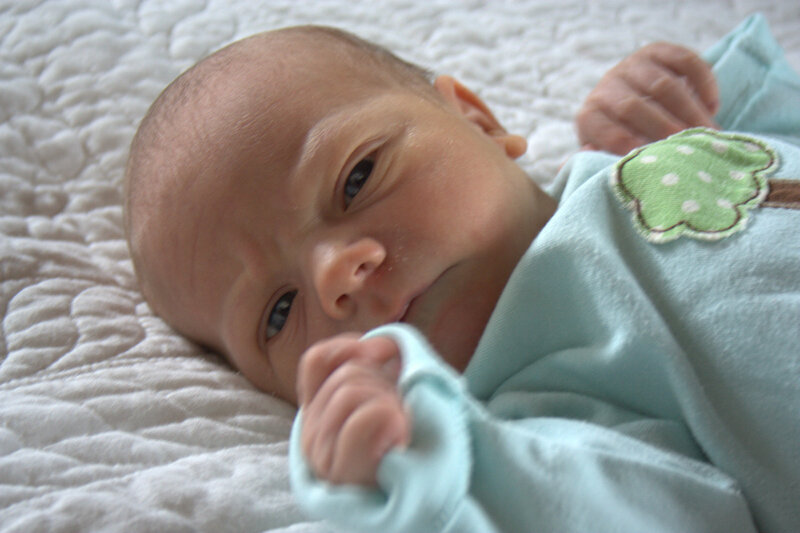 I am so excited to introduce the newest member of our family: Finnian Steven Wilkin, born at 5:59am on Friday June 5th. He weighed in at 9lb 3oz and 21 inches long, and has been warmly welcomed by his big siblings (even if his big brother insists his name is “Taco”)! 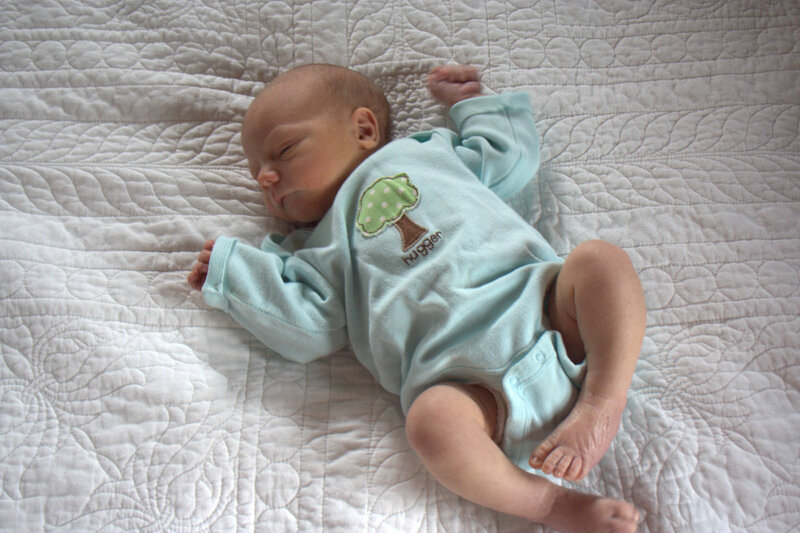 His birth was smooth and completely natural, and we are all doing great! For those of you on Instagram and Facebook, you’ve already been introduced to baby Finn as my epic Friday finish. I’ve been doing a whole lot of cuddling and snuggling and nursing, and as Finn sleeps peacefully in his daddy’s arms, I figured it’s a perfect time to share our happy news here. 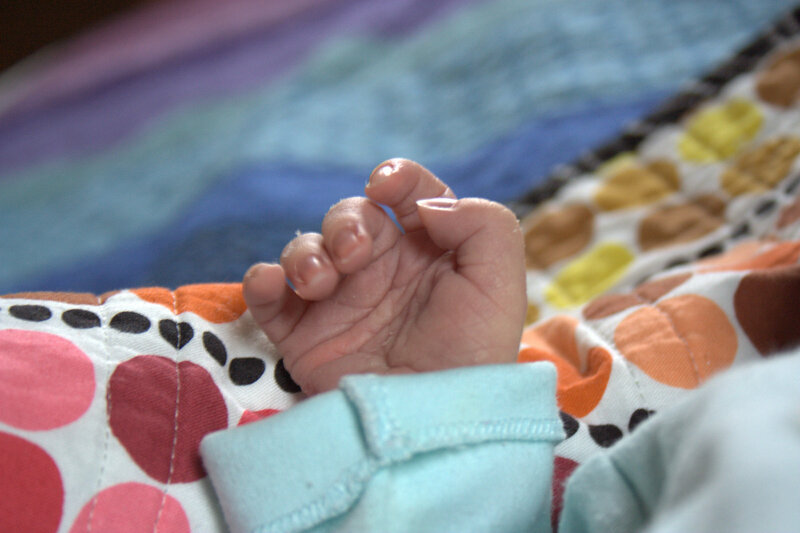 What better way to introduce you to my newest bundle of joy than through photos? 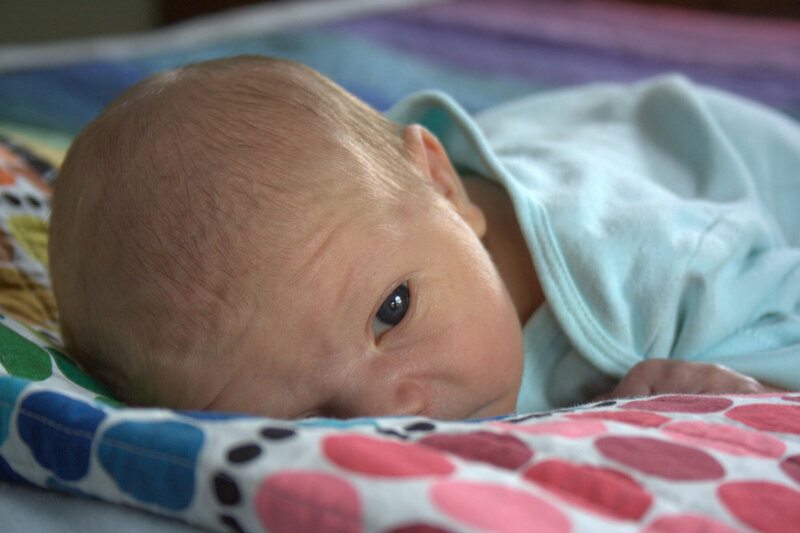 Here are a few photographs of Finn at 3 days old. Since Finn’s birth, I’ve been thinking that he really needs a quilt. I’ve decided to make child sized rainbow quilts, since Maddie loves hers so much. I have a few design ideas in mind, and plan to pair rainbowy goodness (which we know is in good supply in my fabric stash) with either low volumes–for one design idea–or black–for the other design idea. I probably will go with both designs since Max still needs a quilt, too. 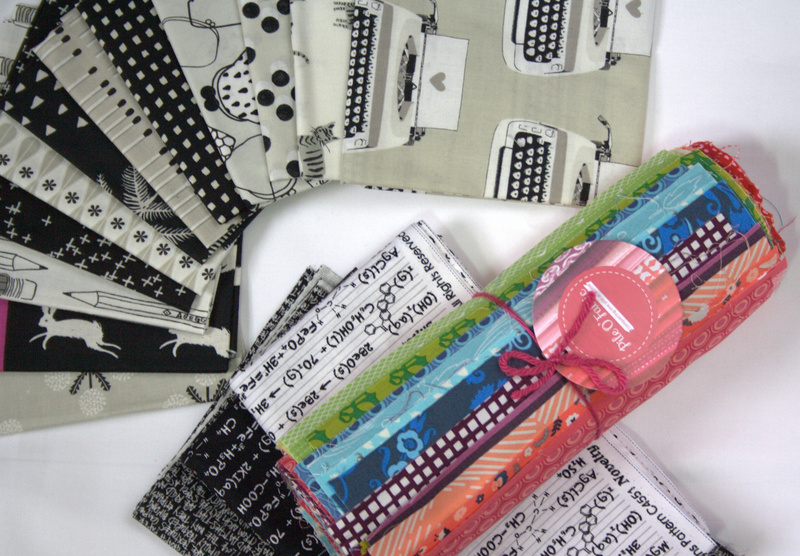 Here are a few of the new stash additions that I plan to use in these quilts. They definitely need to be properly photographed and described in a stash post, but that will come in time. I’m eager to put all of these to good use and create more beautiful things for my children. 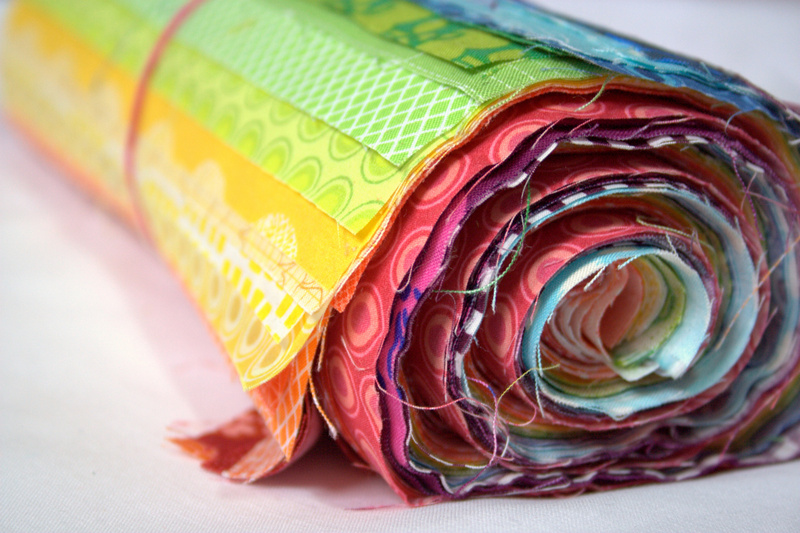 I really can’t wait to put this rainbow fat eighths roll to use in some quilts! Now begins my transition back to snuggling a newborn, and sewing in very small increments. I will focus on appreciating every moment, and remembering that creating 20 minutes at a time results in a finish eventually. I’ve learned that taking those 20 minutes to create each day is so essential to my balance, and being happy and balanced will benefit my whole family. As I enter this next phase of my journey, know that I read and appreciate every single comment on here, even if my responses dwindle or are quite delayed in the coming weeks. I will still try to reply to all of you, but baby snuggles trump all (as we all know!). Thank you for joining me on this journey, and I look forward to sharing the new inspiration that comes with every big change in life! 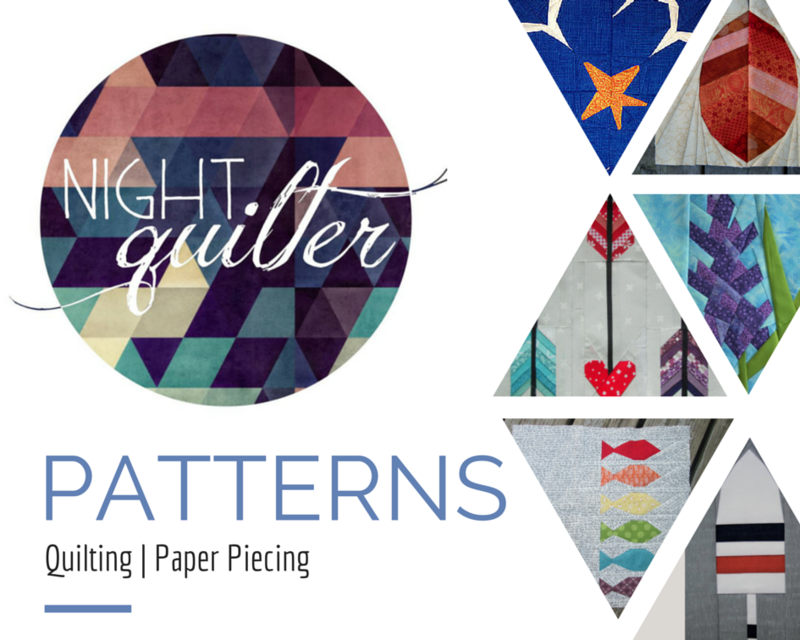 For the fun of it, I’m linking up with Crazy Mom Quilts Finish it up Friday this upcoming Friday, and Molli’s Sunday Stash–does adding a baby to the family count as stash building!? If not the baby, then I’ll count this sneek peek at my new fabrics that have yet to be shared as my stash building! The baby is so beautiful and you look wonderful! Enjoy every moment with him and your family. Time does fly by very fast. All blessing to you and your family, Kitty! It’s cracking me up that your mind turned to quilting so quickly Kitty. But making a quilt is one of the best ways to express love. Congratulations on the happy delivery of your sweet and beautiful baby boy! Such wonderful photos and so precious! You look so beautiful too! I love his name. And well – our oldest wanted to name her sister “Motorcycle” I guess Taco would not be so bad, LOL… it reminds me of the movie Nacho Libre! Ha! 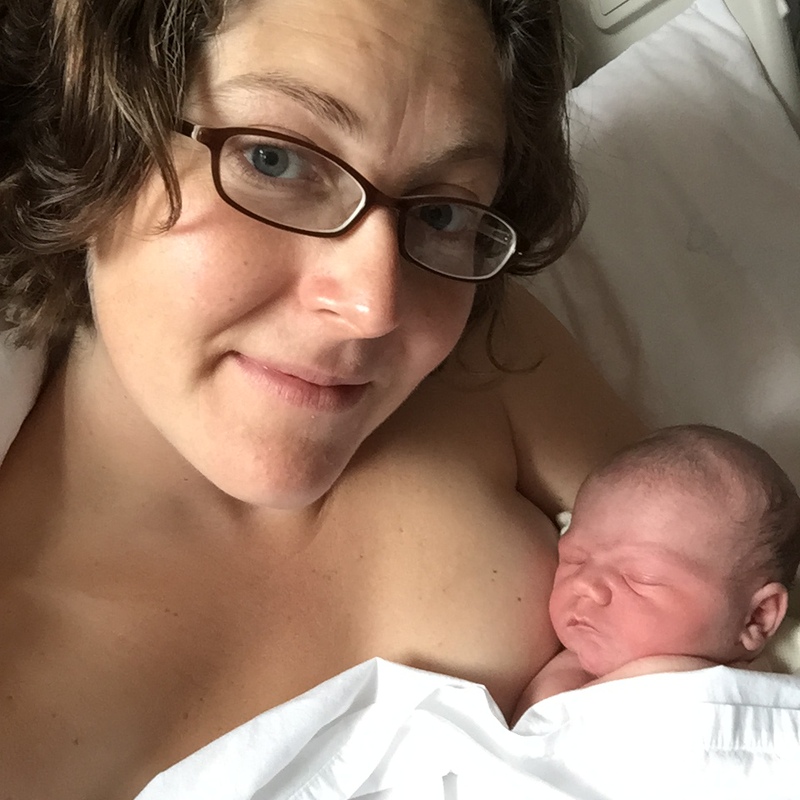 Our littlest was nicknamed Taco, too, for a short while – mainly owing to Dragons Love Tacos being a favorite read ; ) Glad to hear Finn had an easy arrival. Enjoy bonding and adjusting to being outnumbered lol. I wish I had thought of linking up to Sunday Stash when the babies were born! ☺ Congratulations to all of you! He is gorgeous and just love the pictures, thanks for sharing. And enjoy every single minute. He so handsome! As a non-mom I sometimes think babies look like aliens but yours looks like a little human and I dig that 🙂 Such beautiful pictures today, I’m so glad you have time to share them with us. I don’t know how you’ll find time to get back to sewing with all those snuggles. Don’t rush back on our account, you go do your mama thing, the Internet will still be waiting when you get back! Oh!! How perfect and tiny he is!! Congratulations! My only child is 21 months and I am starting to have a little bit of baby envy. Just the other night we found a stray newborn diaper that had become hidden… I can’t believe she was ever that little! I must stop looking at this adorable baby, or I may find myself a mom of two. Congrats! He is just beautiful! Your patience has been rewarded; he is a sweetie. Love that newborn look. I am so happy to see the lovely photos of baby Finn. He is such a gorgeous soul with such wise eyes. I appreciate your comment that you need the 20 min a day that is yours – I remember my dad saying when my first was born – look after yourself first; without you she has nothing. It was wisdom that I appreciate even more now – it is so easy to put yourself behind everything else – the kids, husband, dog, house and then become too tired to do something special with my brain that only quilting does. Pawing through colours feeds my soul even when I am too tired to sew. You can put yours in rainbow order!! Enjoy the little guy – maybe his quilt need to be done with T’s for Taco. How wonderful for all of you! With my babies almost 37 and 39 YEARS–WHAT?–I’ve forgotten how teeny tiny even a 9+lbs baby really is. Finn is adorable and you are both the very picture of contentment. Do a lot of sleeping, you two! Finn is so precious! Congratulations to the whole family!! wow very very handsome baby or like the Mainers say very cunning with a little cheek pinch…lol….Ps you look great too…. Enjoy your new cuddle bug…….Your friend over here in Parkman……Ps Did you see are small town on the news…..We have all the state cops in Parkman and swatt to boot…..
PS short notice with baby in house But Memory makers are hosting Sue Pelland class in guilford at the United methodist church… this saturday 9-2 its free…..something about misty fuse and rulers……..
Best finish. I don’t know how I missed this on Instagram. Enjoy your little one (in the blink of an eye, they are nine). Congratulations Kitty and family. Wishing you all the best! Congratulations! It’s heartening to read what you say about 20 mins a day still being an achievement. As a mum of a 20-month old, I feel very unproductive compared with most of the blogs I read! I have to constantly remind myself that anything is better than nothing. Enjoy the newborn cuddles. Congratulations Kitty, your baby is a sweetheart and you look marvelous! Even though I already commented on Instagram, congrats again on such a beautiful Finn-ish! Congratulations and I’m so happy you will take the time to savor his babyhood. Time passes so quickly. Sewing a bit every day is a great goal too. He is just precious. I’m glad you are all adjusting well.He is just beautiful! Most epic Friday finish I have seen! My favourite finish of this Friday! Congratulations! He is super adorable!